Nice braided vest with V-laces on backside. 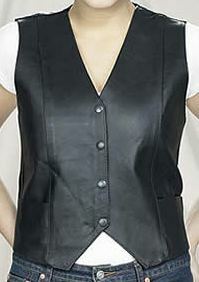 Very vice vest with collar and zipper front. Nice vest with red rose inlay, fringe, and side laces. Lovely vest with braid, fringe, and side laces. Short length. Vertical Braids on front and back. 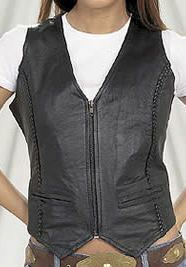 Plain vest with zipper front. V-Bottom. Nice side laced vest with fringe and purple rose inlay. Nice vest with front laces. Nice Braided vest with side laces. 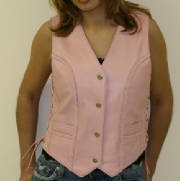 Nice pink leather vest with braids and side laces. Beatiful vest accented with fringe, beads, and feathers.